please you are welcome! thanks for coming and God bless you. 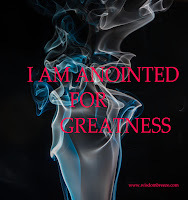 I want you to know that because you are here, you are sealed for GREATNESS! portion please. This is bible study please, so that you will really understand what we will be studying and question where you do not understand. Thank you and God bless you. We bless your Holy Name our Heavenly father! 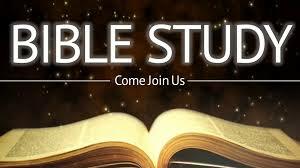 Lord Jesus as we are about to study your Word, we pray for wisdom, Knowledge and Understanding in Jesus’ Name. Amen. Help us to practice what we are going to teach in Jesus’ Name, Amen. Jesus, we thank you, for hearing and answering our prayer in Jesus’ Name. Amen. A lot of people find it very difficult to attend Bible study; they see it as a waste of time and believe that when they attend church on Sunday they will still hear message. Some people uses work as an excuse, some their children, while some uses house chores. Can I ask you a question, you that says you will hear what the Pastor has to preach on Sunday, when last did you return from church on Sunday and go through what the pastor preaches and meditate on those Living Words? Some may say why should I do that, the pastor has finish preaching so what the essence of meditating when I have other pressing issues to attend to? My dear readers, am talking about your personal relationship with God. You write what the Pastor preaches and have turn yourself into a digital typewriter but you never act on what you’ve written down. A digital secretary unopposed. All am trying to say is please, come back home. When you are alone, in your closet, meditate on the Word of God. 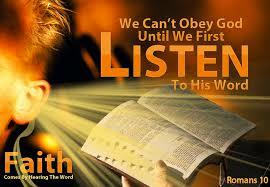 I am telling you this; you cannot live a prayerful life without reading the Word of God. Studying the Word and prayer are like twin, one cannot survive without the other. 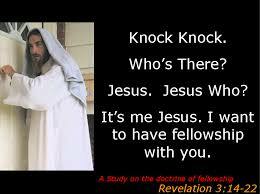 How can we ever succeed, get close to know who Jesus is without us studying His word, the Bible. I know that the whole Christian life is a challenge to listen to Jesus, to learn from, and then to put into practice what we hear. The Christian life is a personal relationship with him. How can we possibly develop our relationship with him without listening to him? Strangely getting to know Jesus by going to the Bible, will also means getting to know ourselves. One of the devil’s most common and effective tactics is to make us blind to our true spiritual state before God. 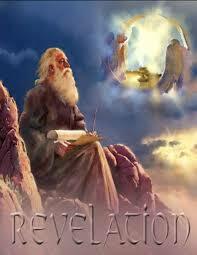 He manage this very successfully with the church in Laodicea (Revelation 3:14-22). And that’s exactly how some of us are! The word ‘blind’ is the key. They could not see themselves as they were, and deluded themselves that they had arrived, spiritually. Many of us are living in the same spiritual state today. These people in fact, needed to hear Jesus speak to them and at that same time a letter was sent to them as I am doing to you today. A letter was sent through John passing on to them the words of the risen Christ about them. It was Jesus directly word to them and it tore aside the veil of their blindness and revealed to them what they really are. Because you are in this blog, reading this right now, I declare every veil of blindness in your life be torn to pieces in Jesus’ Name. Amen. They were horrified by what they saw, when they look into the mirror that Jesus showed to them. But with that awful revelation came Jesus loving appeal, “open the door and I will come in!” and his offer of spiritual clothing and healing they so desperately needed. Verse 20. My beloved brothers and sisters, Jesus is still speaking to us through His word, he said I will send the comforter and he shall teach you all that you need to know. Christ is still speaking through His Word in rebuke and encouragement. The Loadicean were given a special privilege. Today is not the Loadicean but you and I and please let us all maximize this opportunity. Please let us draw closer to God. In all likelihood we shall not hear his voice directly until we stand before his judgment seat and then it will be too late to discover how long our self assessment has been. Today your Visitation is Mandatory, every spirit that distract you from studying God’s word I cast it out in the Name of Jesus. From hence forth, you will not only study God’s word but teach others and wins souls for God in Jesus’ name. Amen. 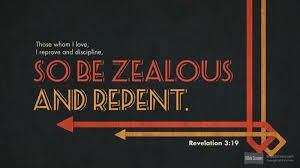 I challenge you, from this minutes look for soul,s win for Christ and see how your life will be. Let me leave you with this question, since you gave your life to Jesus, how many souls have you won for Christ? From January till now, how many? Thank you very much for listening, please ask your questions as i will step aside for the Assistant pastor in person of Gloria Okaiman(www.trendwithgloria.com) to address your questions. please put your hands to together as she step forward. This is a good one. The need for meditation and personal relationship with God cannot be overemphasized.. I await your questions dear brethren..
God bless you for coming! we really appreciate it. 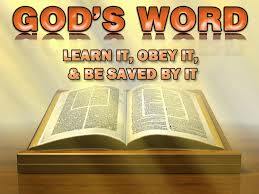 i pray to God to give you more understanding of His word in Jesus' Name, Amen. What you are going here is cool...teaching what it takes to be s religious person online. Let me just say, this blog is an online Church. thank you so much for visiting! we really appreciate! I don't even jot down anything in church again I just go with my bible or my IPAD. I wasn't like this before oo,I used to have a note pad where I jot my sermons but not anymore. please go back to your first love. locate your notepad, meditate on what you wrote down. be fill in the spirit of God. Thank you for this great sermon. God bless Lucy. God bless you too Carina for coming! Lol@Digital typewriter... That's very true. May God help us to start meditating his word even in our closet. I pray for God's Grace upon your life in Jesus' name. Amen. Thanks for sharing this Lucy. It's so inspiring.